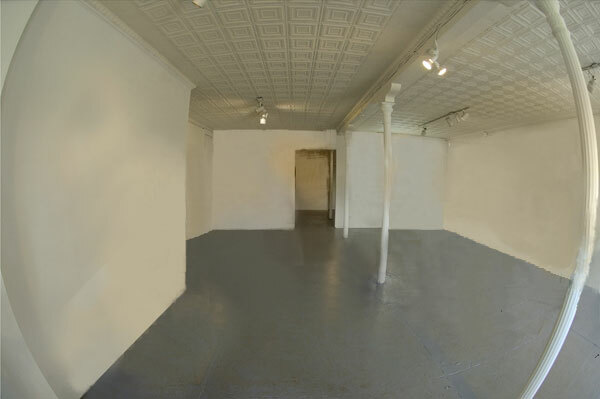 Christopher Saucedo’s artwork has long been preoccupied with water. 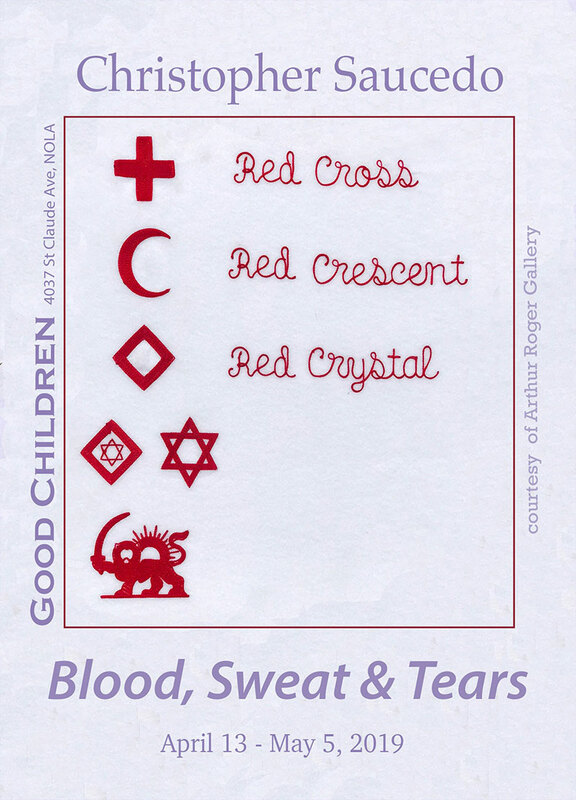 In this exhibition he has shifted his focus tangentially to the three bodily fluids listed in the title. 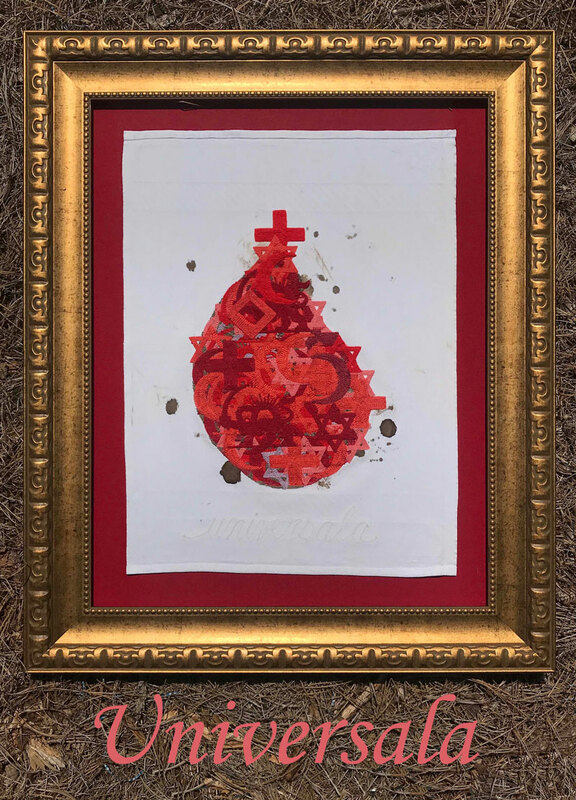 Primarily focusing on Blood for this show, we are presented with sculpture, tapestries and works on paper that are intended to remind us of our collective commonalities by underling our irrelevant differences. 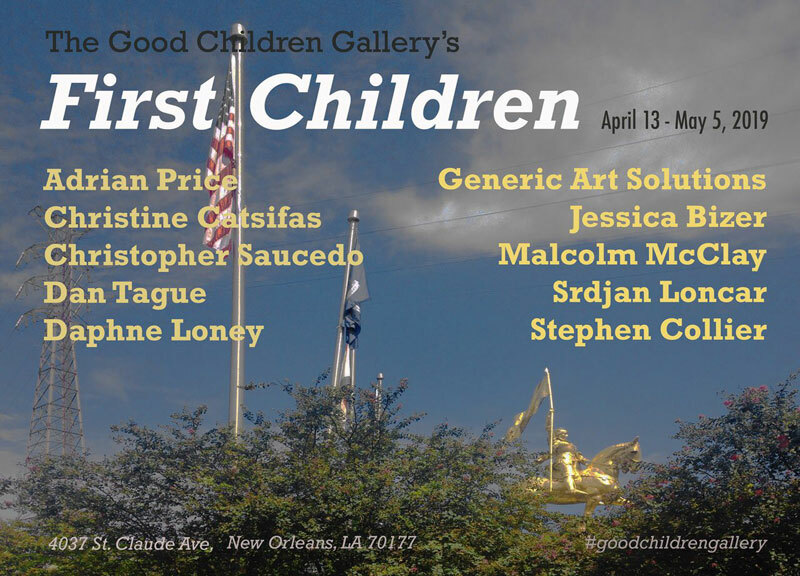 Good Children is pleased to announce First Children, an exhibition featuring the gallery's founding members: Adrian Price, Christine Catsifas, Christopher Saucedo, Dan Tague, Daphne Loney, Generic Art Solutions, Jessica Bizer, Malcolm McClay, Srdjan Loncar, and Stephen Collier.